San Marcos La Laguna is a beautiful Kaqchikel Mayan village of about 3000 people, on the shores of Lake Atitlán, Guatemala, Central America. The lake is considered by some (Aldous Huxley included) to be the most beautiful lake in the world. It's deep, cool waters are surrounded by volcanoes and the warm climate here means swimming is possible all year round. Whilst San Marcos is a small village it is a delightful place, with small winding paths, which weave through the coffee trees and jocotes. It has become is a haven for healers, artists and musicians from all over the world and its fame is also spreading as Central America's premier "New Age" village, attracting many people wishing to investigate the healing modalities offered here. Full body massage, Indian Head massage, Creative Energy Work, Reiki, Kinesiology and Reflexology are all offered at the Holistic Cottage. Courses in these therapies are also available. If you have the desire to learn Holistic Therapies, San Marcos is the village for you. Be sure to leave time in your trip to take a course or two as San Marcos is a unique place which many are drawn to stay for lengthy amounts of time. San Marcos Holistic Cottage is located on the secondary walking which is one of the two main paths that heads from the road to the lake and from the lake to the road. If you are getting off the boat, walk straight up the path until you see our blue building. It is about a minute walk from the lake. All information and the sign up board is located on the door. Just write your name in to sign up for treatments or leave us a message if you would like to take a course. Please be courteous and show up on time for your treatment. If there is no pen or you would like to book an appointment before arrival, click on the Contact button on the top of the page or call the numbers below. If heading down from the town center, follow the main path and turn right at the Paco Real corner and keep walking until you get to the rock path and turn left. 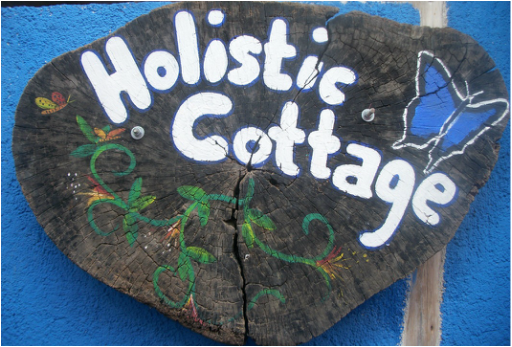 Ask or follow the signs to the Holistic Cottage. so only dial it if you are calling from an international phone. so it is best to call or stop by to ensure availability. Katherine Bird began her introduction to alternative therapies in the year 2000 in India. While living in a little Tibetan community, she began by studying Reiki with a Buddhist monk. This training changed her perception of illness and opened her eyes to the world of healing within. In 2002 she came to the small village of San Marcos La Laguna, in Guatemala . to do the Moon Course at Las Piramides Meditation Center. 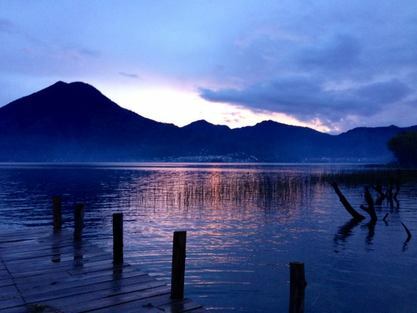 After she completed the course, Lake Atitlan called her to make it her home. 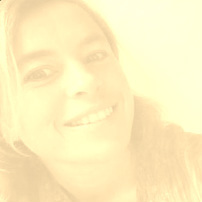 Since then she has enhanced her knowledge in Massage, Reiki, Kiniesiology, Aurasoma and other esoteric subjects. After managing the San Marcos Holistic Centre for a number of years, when the restructuring of the centre took place, she decided to embrace the change and continue to offer treatments, courses and massages through the Holistic Cottage. She thoroughly enjoys doing bodywork and teaching others to be confident therapists themselves. What she loves most is the interaction with her students and clients and empowering them to look at themselves honestly by searching for the answers within. She feels honored to be a witness to this journey of discovery into who you really are. Katherine has a little boy named Alejandro, who is the light of her life and her greatest teacher. He reminds her of the importance of the present moment and inspires her on her path to healing herself and others to make the world a better place for all. Mariale Rivers is a Medical Doctor that Works with holistic medicine. She graduated as a medical doctor in 2009 from the Universidad of Francisco Marroquín. After graduation she continued her studies in Functional Nutrition, Health Coaching, Biological Medicine, Bach Flowers, Natural Cosmetics and Herbalism in Spain, the USA and in Guatemala to improve her personalized approach in her private clinic. In 2016 she traveled to India and completed a 300 hour practical and theoretical training course in Gujurat Ayurved University under the department of Basic Principles, Ayurveda Materia Medica, Pharmacy, Ayurvedic General Medicine, Panchakarma , Shalya, Shalakya , Paediatrics, Obstetrics and Gynaecology of Ayurveda. She continued another 300 hour practical and theoretical training under the department of Panchakarma in the Institute of Post Graduate Teaching and Research in Ayurveda and practiced in the Panchakarma hospital with Dr. Anup B. Thakar and Dr. Mandeep Goyal of Kayachikitsa. She worked with Dr. Nikhil Metta in Pune in his private clinic learning about Ayurveda in daily practice for 200 hours. She completed a course in Kerala Ayurveda Academy in Natural cosmetics. She is now part of the Holistic Cottage working as a holistic doctor with focus on Ayurveda, herbalism, nutrition, lifestyle, natural cosmetics and preventive medicine. She teaches Ayurveda workshops and courses and leads Ayurvedic Detox Retreats.